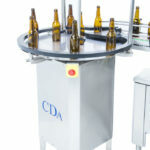 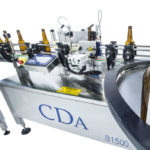 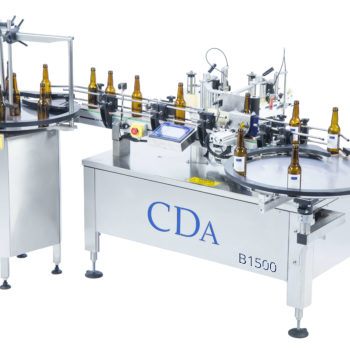 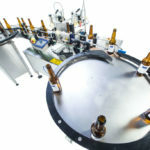 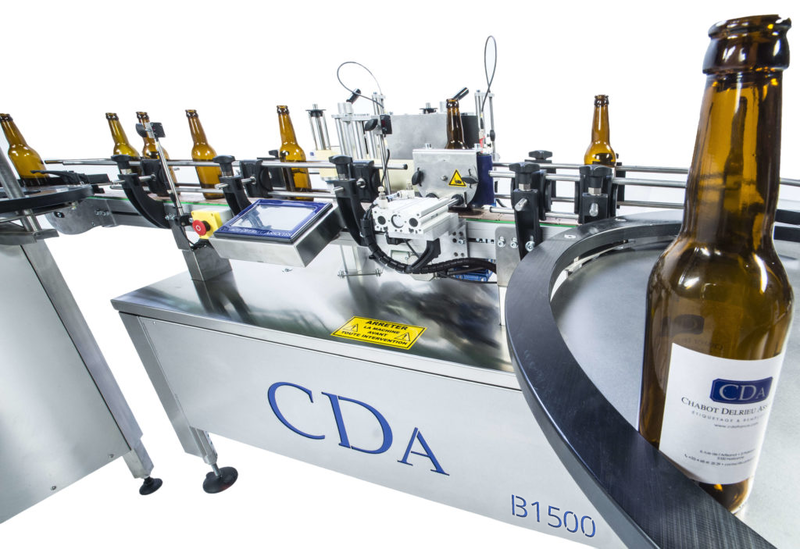 The B1500 of CDA is an automatic labeling machine specifically designed for the beer industry. 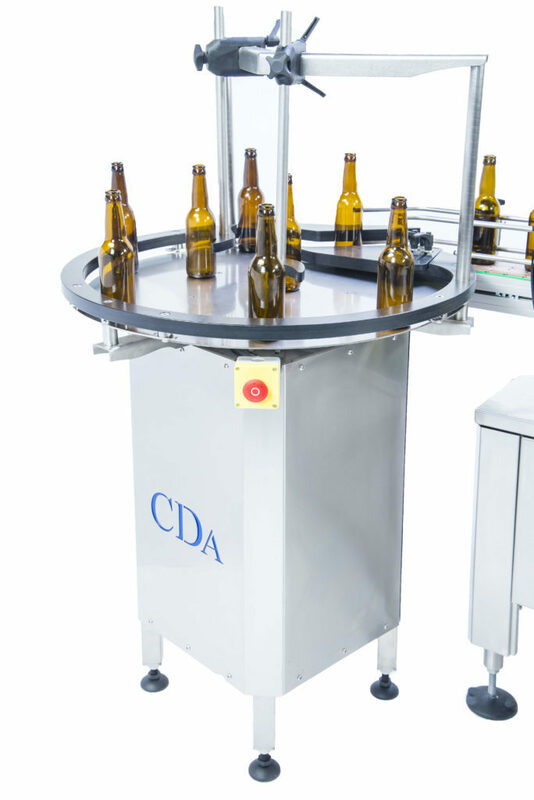 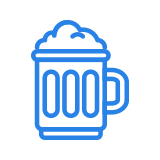 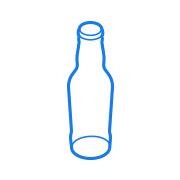 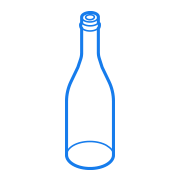 It can place up to 4 labels (front label, back label, neck label and medal) on any kind of beer bottles. 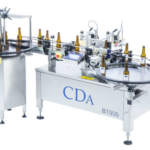 Its production rate can reach up to 1500 bottles/hour insuring a efficient and precise labelling. 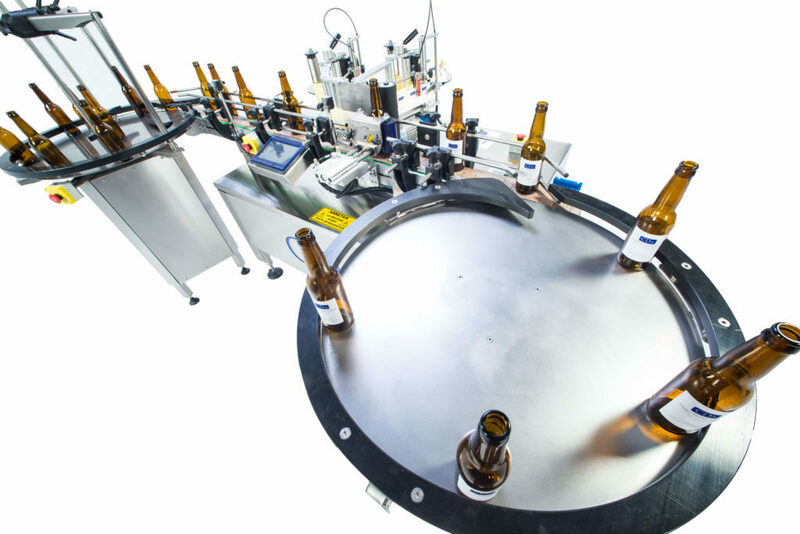 This labeling system can be easily integrated to a full conditioning line.